The National Council of Architectural Registration Boards (NCARB) has released “NCARB by the Numbers,” their annual report featuring statistics important to the architecture profession in the US. 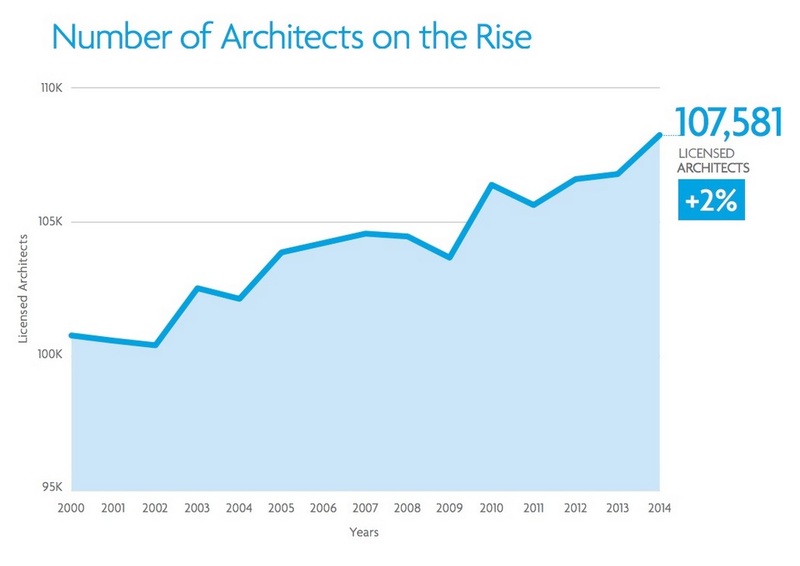 NCARB’s research portrays a positive future for the profession, with statistics showing that diversity is growing, architects are becoming licensed at an earlier age and progressing through licensure paths more quickly than in previous years, and more architects are becoming licensed than ever before. 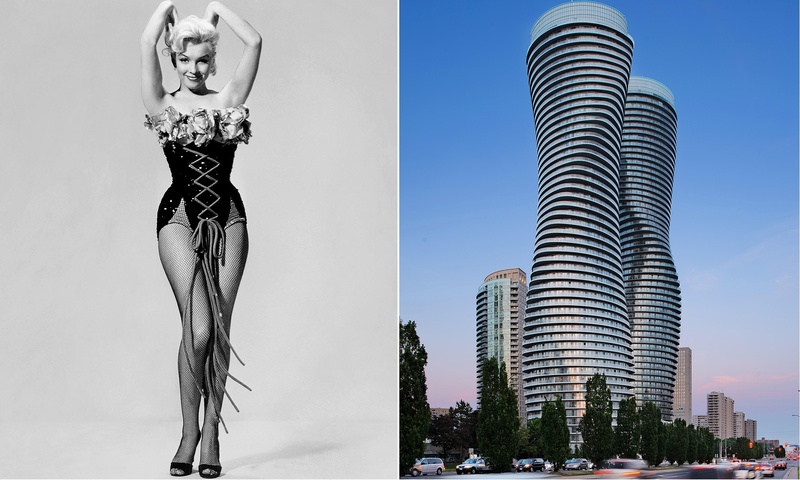 Queen Bey’s curves have inspired a new skyscraper. But it’s by no means the only superstar-shaped building out there. Gain knowledge on basic acoustics & noise control principles, learn about standards for occupant comfort, and discover how to use noise control & acoustic products successfully in building design. Space is limited to 15 participants, so email today! BCIT is offering a new Graduate Certificate in Building Energy Modelling starting September 1, 2015. Energy Modelling is an important area of specialization of Building Science; as such, the Graduate Certificate in Building Energy Modelling builds on the strengths and success of the Building Science Graduate Program at BCIT with a focus on the fundamental heat, air, and moisture transport principles, and their application to building systems integration. Emphasis is placed on mechanical systems design, operation, and control; and their integration with the building envelope. Students can expect to complete the Graduate Certificate in one academic year if they fast-track by registering in up to three courses per term, or complete the credential in two to three years if they take a lesser course load. Admissions will be opening for applications soon. To be notified, please send an email to buildingscience@bcit.ca. Program prerequisites are the same as for the Master of Applied Science in Building Engineering/Building Science. Read complete pre-requisites here. A 4-year Bachelor’s degree in a related Science field with a GPA of 2.8 out of 4.0 (70%), preferably with an Architectural and Building Technology (ABT) diploma (Building Science option) or equivalent building science industry experience. For more information, visit www.bcit.ca/buildingscience or email buildingscience@bcit.ca. Vancouver Heritage Foundation’s Student Access Program encourages students to engage with architecture, heritage conservation and Vancouver’s history. Students who sign up for the program are put into a queue to receive complimentary tickets to Vancouver Heritage Foundation events such as house tours and educational courses. Vancouver Heritage Foundation is offering a small number of fully sponsored free tickets to students for our Mid-Century Modern House Tour coming up on September 26. Celebrating the architecture of the West Coast Modernists, this tour gets inside Vancouver examples of this remarkable style, including a 1962 home designed by Arthur Erickson. Visit the Vancouver Heritage Foundation website for information and guidelines on the program and for information on the Mid-Century Mode House Tour. To sign up to the Student Access Program, email mail@vancouverheritagefoundation.org or call our office at 604-264-9642. Students can also receive complimentary admission to our house tours and many other events by becoming a Vancouver Heritage Foundation Volunteer. This one day course is a 100 level foundation course. It will provide you with a fundamental understanding of the elements of the Passive House Design, which leads to cost effective, low energy buildings with increased occupant comfort and reduced mechanical systems. You will learn about: Passive House design fundamentals, Super-insulated envelopes, Methods for achieving extreme air tightness, Passive house quality windows, leading ventilation design principles, Passive house economics and costs. A new proposed development for downtown Vancouver’s West End neighbourhood could provide the skyline with a pixelated touch. A 60-storey residential building, dubbed ‘Nelson on the Park’ by project proponents, is planned for 1075 Nelson Street – just metres away from Nelson Park and a half-block’s distance from First Baptist Church. 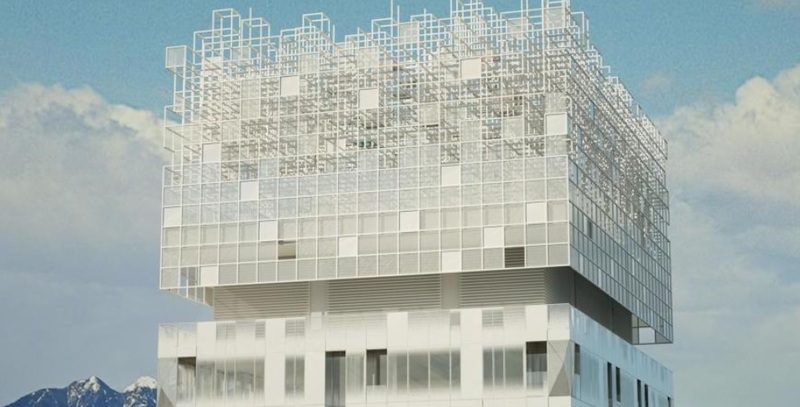 The proposal lies within the municipal government’s West End Community Plan’s 550 foot height limit, allowing the project to eclipse the height of the nearby One Wall Centre. Take a crowd of Canada’s top architects, put them in a room and ask them to design a dense city neighbourhood – working with a 1,000-page book of rules and requirements. 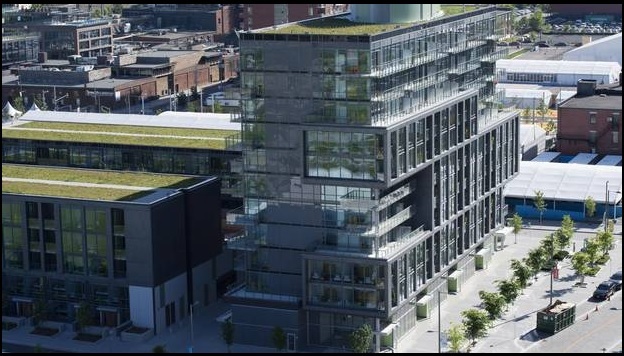 This was how the Canary District in Toronto, which will be the athletes’ village for the Pan Am/Parapan Am Games this summer, was created. Surprisingly, this city-by-committee is coming out well. The $514-million, 14-hectare complex is walkable, sustainable, contemporary but respectful of history, and economically diverse. It will efficiently house 10,000 people for Pan Am and then serve different users, in about 1,650 units, over the long term. 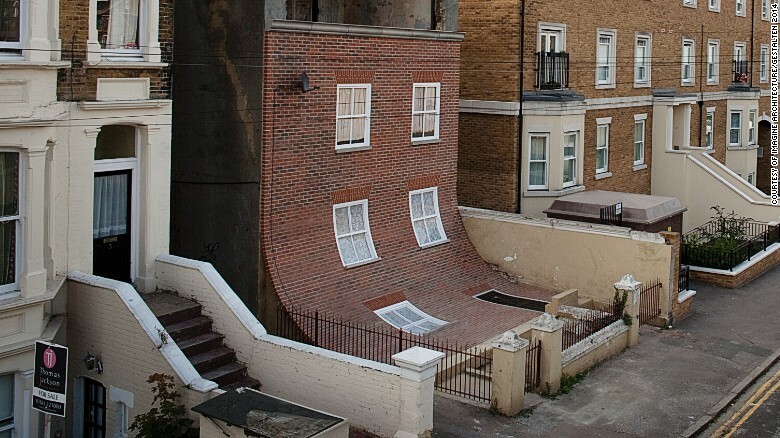 “Some, if not most of my moving aesthetic experiences have been in buildings,” claims the Turner Prize-winning British artist Grayson Perry, who believes these interactions with architecture played a key role in helping to define his creative direction. 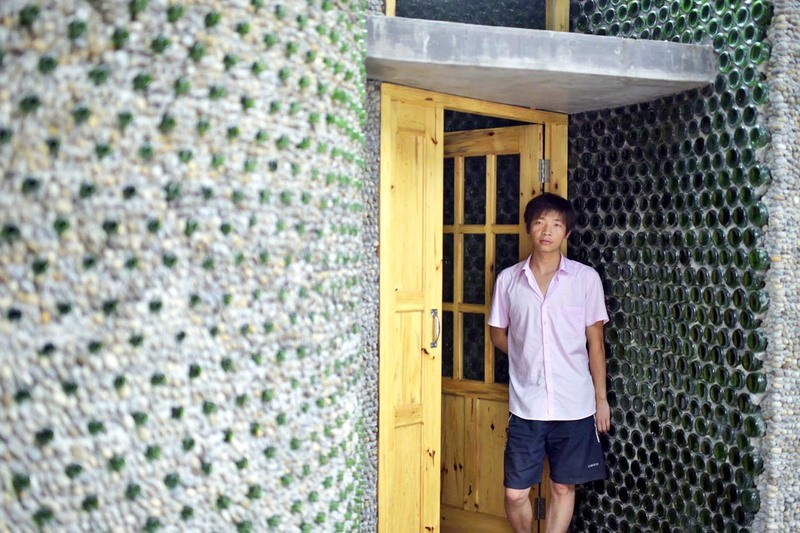 Join the sustainable architecture and educational tour to Copenhagen from September 14-19, 2015. Denmark is one of the world’s forerunners for ground-breaking architecture and sustainable city growth – the nation has made significant impact on innovative technologies globally and new standards are constantly set in terms of buildings and products that live up to the new protocol and standards for sustainability. Danish architecture has seen widespread international success and that makes experiences in the Danish market very interesting to study. Focusing on Denmark’s regulatory policy, industry challenges and opportunities as well as architectural visions for growing cities, valuable lessons can be brought back to Canada. Extended registration deadline is July 21, 2015. For more information or to sign up for the tour. Have you ever wondered how land boundaries are legally defined? Or how land disputes get resolved? Have you ever wondered where to go for spatial, boundary and land title information? Or who to approach for advice on land title registration procedures or about statutory requirements for land development? 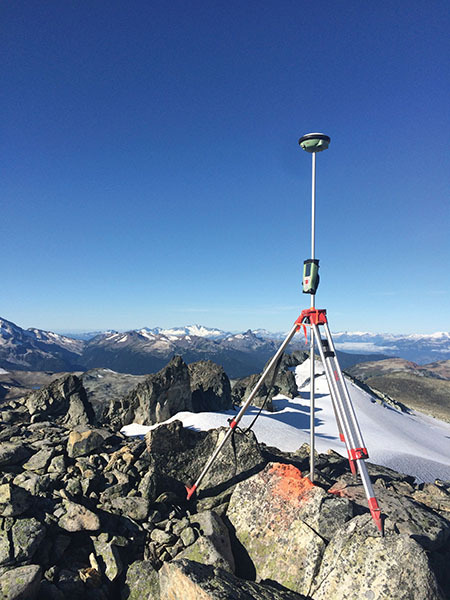 British Columbia Land Surveyors (BCLS) liaise with municipalities, engineers, architects, planning and legal professionals on a regular basis, providing spatial, boundary, and title information as required for land use, development, and environmental protection. A BC land surveyor is an expert on all statutory requirements of land development, on the provincial land title system and land title registration procedures. BCLS are charged with the responsibility of carrying out all legal surveys within BC, which include surveys of land (property boundaries), water and airspace, rights of way, condominiums, leases, and mining claims. According to the Land Surveyors Act, only a BC land surveyor may carry out certain tasks, including establish or re-establish property boundaries. BCLS have a primary responsibility to maintain the integrity of the legal survey fabric (also called the cadastre) because they are the legally appointed caretakers of this system on which titles or rights to land are based. BCLS carry out these responsibilities with impartiality to their client, in all fairness and equity, for the protection of the public interest. BCLS are proud of their profession and their responsibility to the public. They see the benefit of working proactively across sectors and industries. Land surveyors enter the profession through a rigorous process. After either graduating from an accredited geomatic engineering program (offered at the University of New Brunswick, the University of Calgary or the British Columbia Institute of Technology), or achieving a certificate of completion through the Canadian Board of Examiners for Professional Surveyors, land surveyors in training enter into an articling period of 12-36 months. Once the articling period and its associated field projects are successfully completed, the candidate must sit professional examinations and a professional assessment interview before one can be commissioned as a BC land surveyor. A complete list of practicing BCLS, along with further information about the profession and employment opportunities, can be found at the Association of BC Land Surveyors’ website, www.abcls.ca.